The Brits are well known for their culture, tradition and most importantly their royalty. Being here in London for almost two years now I’ve fallen completely in love with the culture and the big city. Dating someone of British ethnicity brings me closely in contact with the culture which I enjoy greatly, as I am a very cultural person and love diverse nationalities. Every Brit know that June to July is the months of the races it’s a great hype here and such excitement. 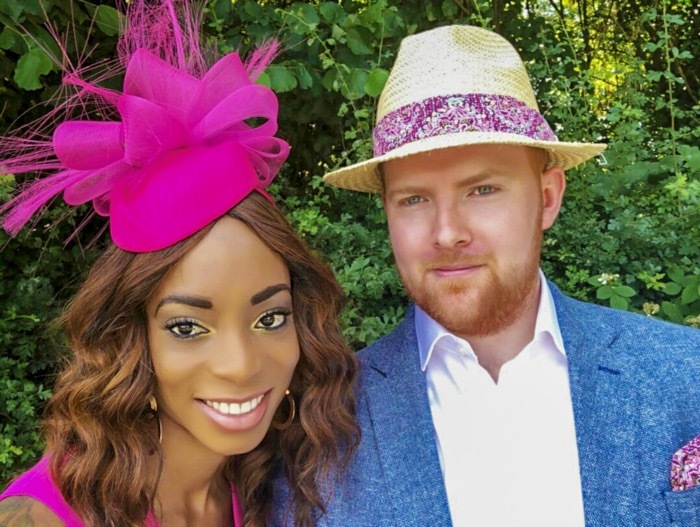 I’ve styled countless women for this year races, and finally, it was time for styling myself and also my boyfriend. 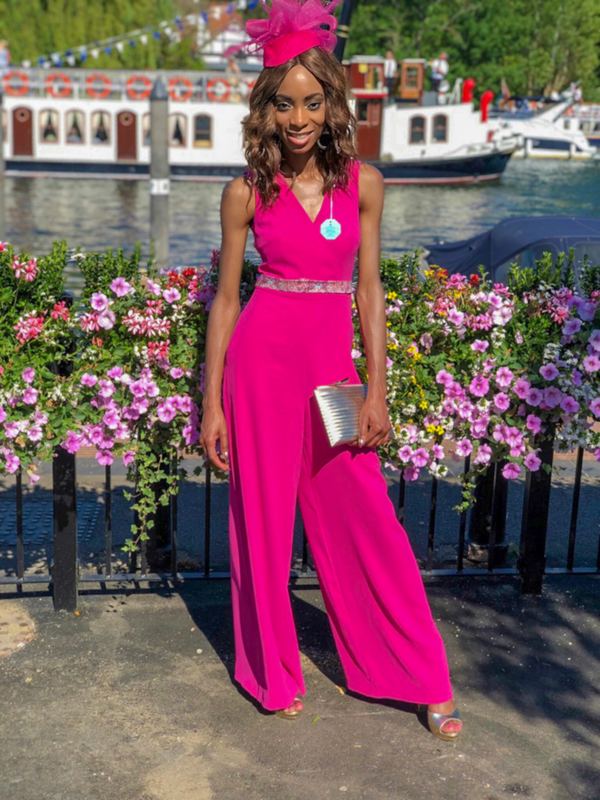 Pink was my color to rock for this event, and I wanted that special someone to have a color combination to my outfit. 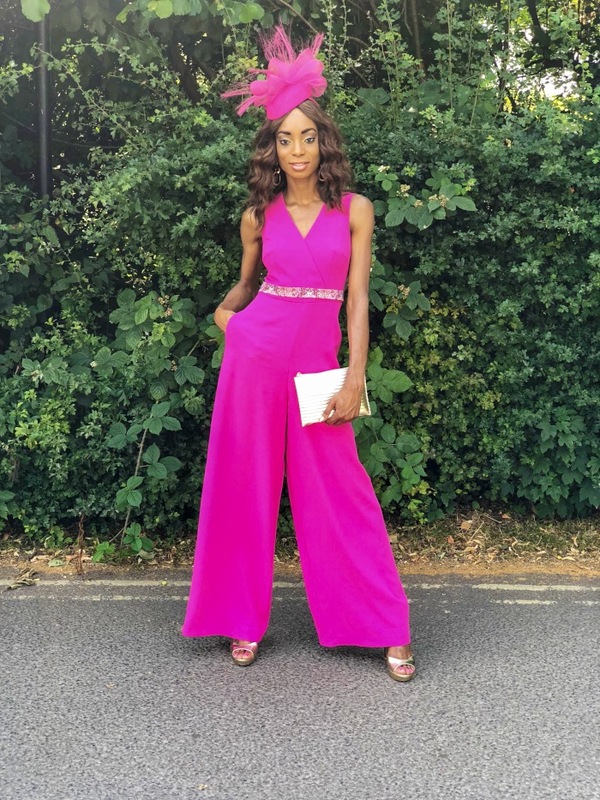 Coming to my outfit, I’m in love with any big wide-legged trousers that fit too the waists and give that gorgeous bigness to the bottoms. When wearing stuff like this, I feel like I can take over the world of fashion. 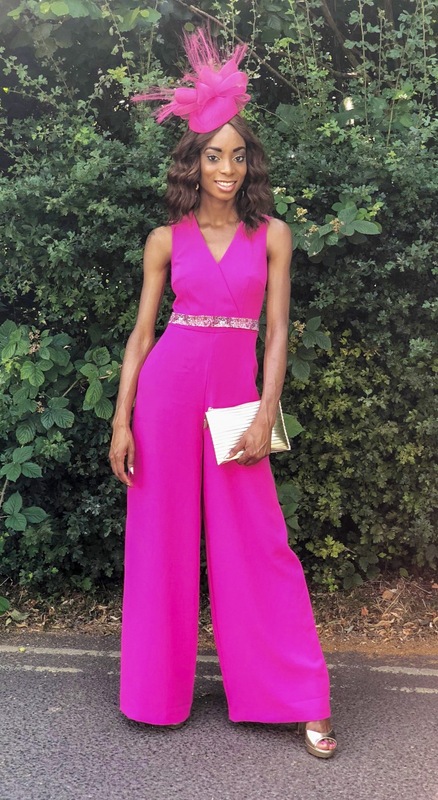 So back to my outfit the 100% polyester jumpsuit came with a pink belt tied to the wait that will enhance all shapes and figure. I classed Gold with the pink as I thought it would be the best color to compliment the look. 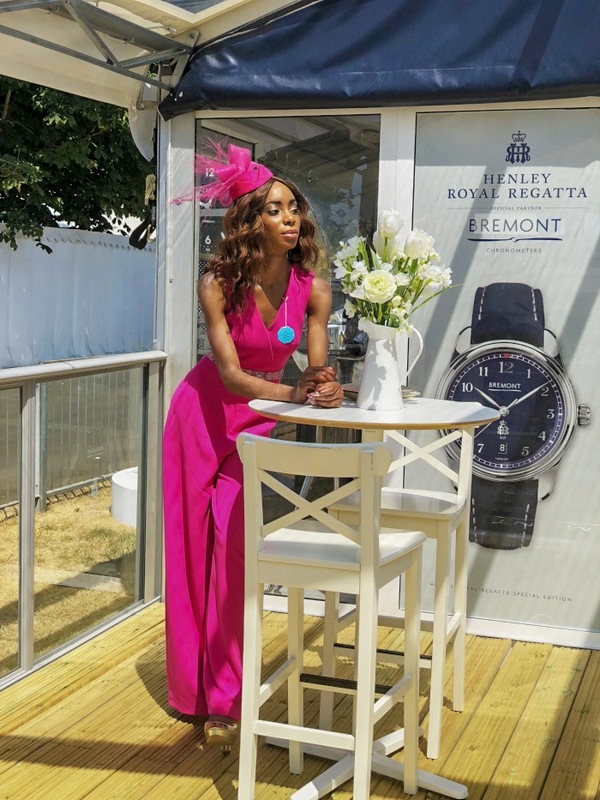 I was not too keen on just having a plain pink belt to my jumpsuit and after styling my boyfriend in his white shirt with stone colors trousers and his Demin blue Misano Jacket from T.M Lewin which are a great color contrast with pink. It was then time to add some pink to his look. 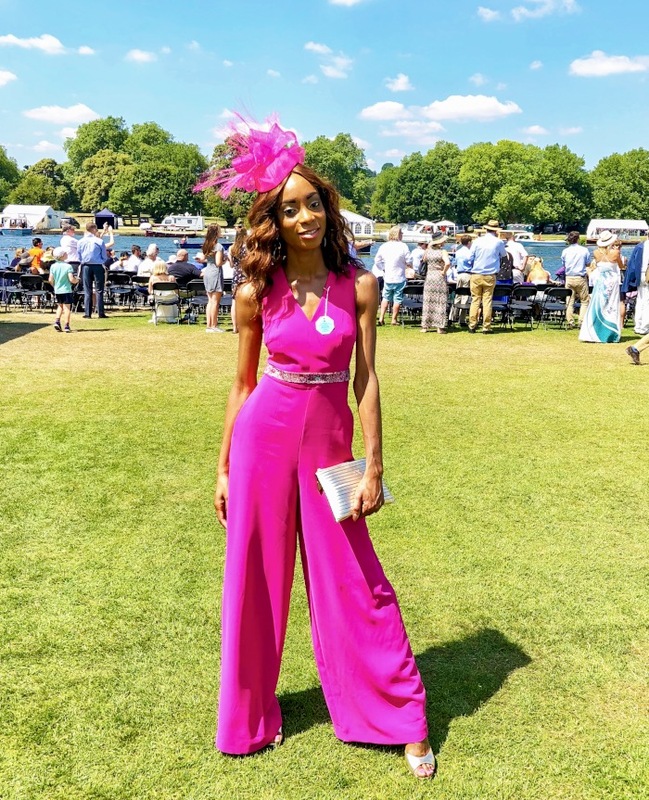 His handkerchief, hat lining, and fabric added as a belt to my jumpsuit was all purchased at Liberty London and cut, sawn, and added to the clothing by me. 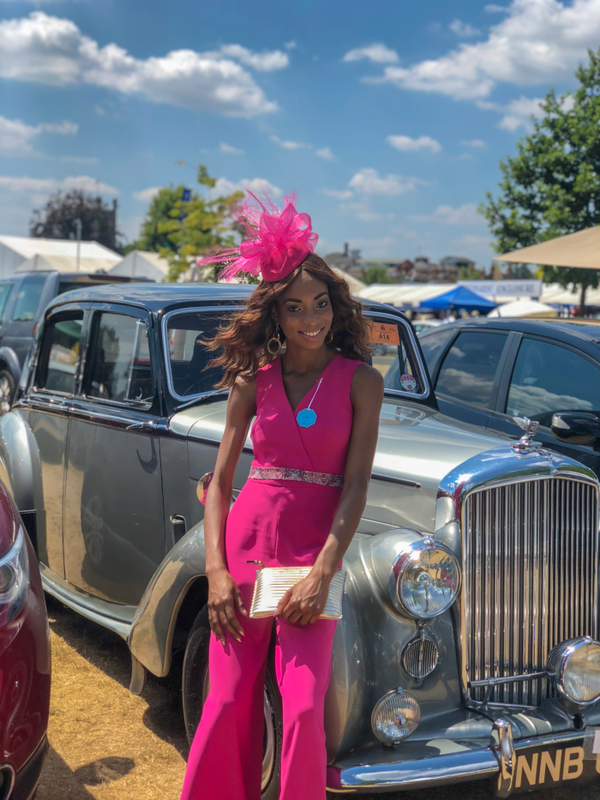 Henley was amazing that day my first traditional British event I had great compliments on my outfit by many women which made the day even more special.